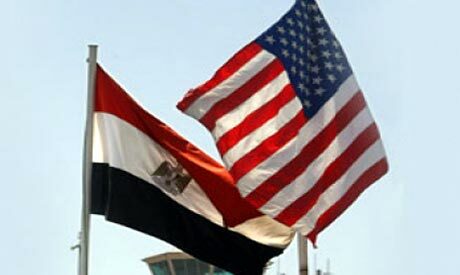 Moves by the United States to restore economic aid to Egypt are a green light for the autocratic regime there to continue its repression of opposition politicians and activists. The US administration has presented Congress with a request to exempt Egypt from a law requiring it to cut off aid in the event of a military coup. Aid to Egypt was suspended following last summer’s coup. The bill before Congress would includes up to $1.3 billion in military assistance, and $250 million in economic support for Cairo. More importantly it would set a precedent to allow assistance for countries following a coup. The move comes as Egyptians vote in a referendum for a new constitution that has been prepared by the military-installed administration currently ruling Egypt. It is taking place amid the imprisonment of opposition acitivists, both secular and Islamist, including ex-president Mohammed Morsi and members of his ousted Freedom and Justice Party. The country’s biggest political movement, the Muslim Brotherhood, has been designated a terrorist organisation and its leaders have been arrested or fled abroad. Following a period of relative freedom the media has been restored to state control and many journalists arrested. Activists who have tried to peacefully campaign for a no vote in the referendum have been arrested and prosecuted on charges of trying to change the constitution’s “principles.” Public demonstrations are banned, and police have killed tens of people and arrested hundreds who tried to protest against the constitution. The sheer scale of the repression makes a fair and free ballot impossible. The new constitution will legitimise the position of the armed forces at the country’s helm and will exempt the security agencies from civilian control. It is the centrepiece of the military’s so-called “road-map” towards democracy which in reality is nothing but a smokescreen covering the restoration of the pre-2011 military regime. A yes vote, which is inevitable, is also likely to be seen as an endorsement for the current head of the armed forces Abdel Fattah el-Sisi to declare his candidacy in a planned presidential election. IHRC chair Massoud Shadjareh said: “Restoring aid to Egypt on the basis that the country is back on the road to democracy is a kick in the teeth to the country’s people who are looking to the international community to support them in their campaign for freedom and reform. It appears that it is not enough for the US to simply turn a blind eye to the military’s repression that it must also now return to playing its erstwhile role as the hand that rocks the cradle”.